Good Fonts is a copy and paste font generator and font changer that creates Twitter, Facebook, Instagram fonts. 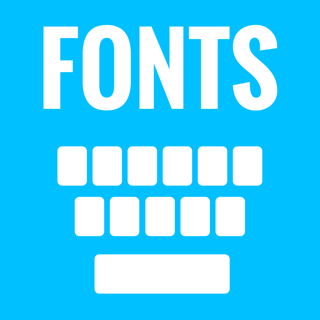 It converts a normal text to different free cool fonts styles. This app honestly contains so many fonts, so that you are able to choose whichever ones you really like. I found some that I loved, but when I tried to copy and paste it; it didn’t work. Then I saved it onto notes to see if that would work. It didn’t. Overall, the app is pretty great, but also confusing at the same time. Would I recommend it? Possibly to those who understand how to use the app, but if I were “recommending” it to myself, absolutely not. I love this app it’s quick and easy. There is just two minor issues. One, Ads. There is not an outrageous amount of ads but still a decent amount I would like a little less. Two, More fonts! There isn’t a lot of fonts I wish you added more. And that is all! I recommend this app to anyone who is reading! Just to start off this app is amazing but a few minor problems. Could this app not have any ads? Also when I try to copy it won’t even let me press the button ‘ copy’. And lastly, could this app be a keyboard app? When some of these problems remove please be sure to let me know. Thank you!